MuoviTech North America exhibited in Las Vegas. 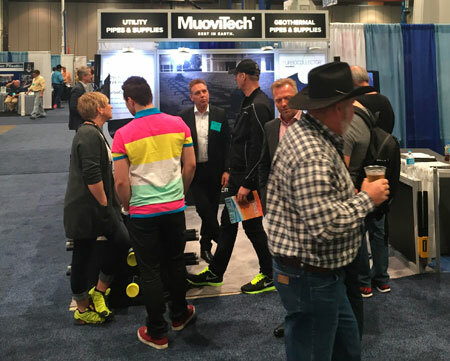 MuoviTech North America exhibited at the National Ground Water Association (NGWA) Expo this week. The MuoviTech team has created a lot of excitement around our geothermal products and the launch of the U.S. Factory. Las Vegas was an excellent location to meet so many great people and potential customers.